Medium.com is a website, which was made by one of the Twitter creators. It’s main purpose is to involve people in articles writing more than 140 symbols. However, the most interesting part of the Medium website is that it attracts people to stay longer and to read more. You may be wondering: “And how is it possible?” Everything is quite simple. The service comes with interesting and very functional features, which give you more visitors and longer visits! The following WordPress medium themes come with such peculiarities, so you can be sure that your blog will rise in rankings. We made a whole research to choose best templates; all you have to do now is just to select the one that fits your particular project. 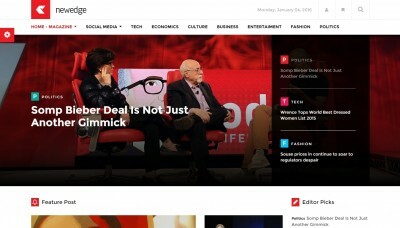 Gather more readers and more likes with our special Medium-like themes top-list. Wonders WordPress theme is very similar to original Medium design. Clear interface, informative appearance, and nothing unnecessary. Every blogger should try such style to see that is works like a charm! Contrasty colors, such as white background and bright images, with legible fonts is a real recipe for informativeness. Blogs often offer to readers too much articles on one page, but Wonders theme solves this problem with three various blogging area appearances. As Medium theme this template supports full-wide pictures to use in your articles and also is translatable and responsive. Write and share interesting info with ease! Firstly, it’s a one-page informative visual to give a possibility of an info cluster checking by simple scrolling. Good trick for online journals and other similar platforms with long news feed. Also, Cedar theme tries to be as narrow as possible when it goes about text. Because the less you move your eyes the more comfortable work is, isn’t it? Four post styles to give you more space for creativity, optimized performance, and perfect theme optimization. Cedar does the trick great! Forte is another high-contrast WordPress theme to make your blogging experience as good as on Medium platform. Show the depth of your articles and add some beautiful full-screen images for best impression. Add tiled galleries to make your texts more bright and interesting and use a Medium.com trick – mix additional universal content areas in each post for some extra info, superb! Great menu improves navigation and helps visitors to browse your website freely. Choose custom styles to tune-up your blog and feel the finest performance of the Forte theme. Fully SEO-optimized, with option of custom branding – this template is a real gem. A clear and modern theme for writers – Literatum – concentrates on one thing, and this thing is your post. “Just write,” tells us the template. Cozy full-screen image viewer, optimized backgrounds and full focus on blog posts. A perfect variant to use, isn’t it? As a famous Modern.com the Literatum offers a really minimalistic interface in blogging with the powerful features to work with video and images. Choose various post categories with prepared options to quickly set the necessary type of article. Quickly and efficiently! The Literatum will automatically count the time required to read particular article for your satisfaction. Interested? What about special template for interviews and social networks optimization? This theme is truly worth checking it. 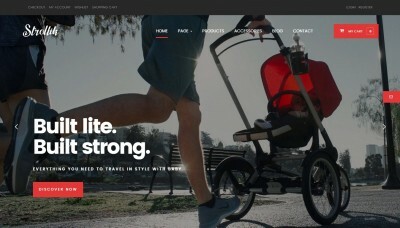 The Evoke WordPress theme is targeted onto images-based stories and has all instruments to use pictures in the best way. The template helps you to create articles with a lot of photos and other illustrations right between text parts, as seen on Medium.com platform. Use a modern grid function to group posts and show them in a feed-styled main page to your website visitors. 7 different layouts for pages help in customization and save a lot of time – a fine bonus for even more texts to think about. If you are looking for Medium-like blog WordPress template, you should definitely take a closer look at Evoke. Fully translatable, with best SEO settings inside – interesting example! Real is a modern and technologically advanced theme for your WordPress blog. Use latest effects for eye candy purpose, create beautiful posts quickly and without any problems. The theme is similar to Medium blogging platform in the stylistic of test appearance – same narrow one-page appearance, which suit such types of info perfectly. Use one of two page layouts; the first one comes with visible sidebar, second – with hidden in the animated corner menu. Do you like the WordPress Medium Themes effects? Make your cover blur or push while scrolling, both are nice effects. Also, use 7 various blog post types to select the required info type like video or audio. The Real template is ready for translation, supports modern WordPress plugins, and is fully responsible. Blogary WordPress theme works best with paid content for a blog; the template allows you to create some private areas for commercial activity. Blogary uses all the modern features for blogging and will show your articles at their best. Use 2 unique page templates to customize the showcase and choose the best option for blog appearance. Unlimited layout possibilities! Socialize with “like” and “share” buttons, similar to Medium platform, and let the word about your website spread. Blogary supports all modern and popular plugins and has 8 predefined color schemes to tune the design. As a bonus try sidebar post option for best integration of widgets and articles. Great! 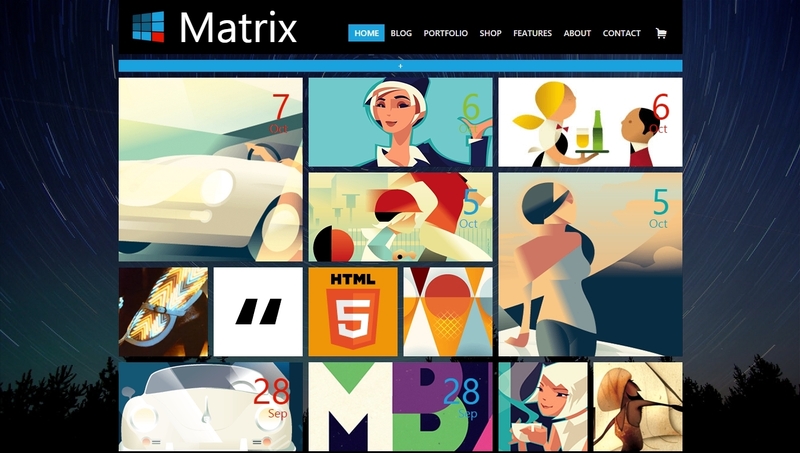 If you like grid presentations, it might be a good idea to check the Writer theme. Beautiful masonry system for main page, classical text appearance in articles make this template among best for blogging. Simple typography customizing simplify the final stage of every article preparation – the makeup. Set some full-width images to impress visitors and let them scroll down to the main content, which is formatted ideally for reading. Cozy side menu for easier navigation, different post types to select from, and built-in galleries to add some bright elements to every article. The Writer is a good name for such a powerful blogging theme, indeed. Samsara theme offers not just simple blogging template, but a multipurpose and creative tool to build your own blog from scratch. A lot of various tools and features are at your service! A powerful slider and a customization tool to make a personal header or to change the whole design of your blog comes with the Samsara. Make a great presentation on landing page, show content, and sell it! WooCommerce is fully supported by the theme. Blogging area offers you more than 5 various post types, but the appearance of text is really close to the Medium.com website, where contrast in text areas used to draw attention. The WordPress Medium Themes, such as Samsara, are modern and well-documented. Besides, it supports all latest eye candy tricks like parallax. Samsara will leave you satisfied, guaranteed! 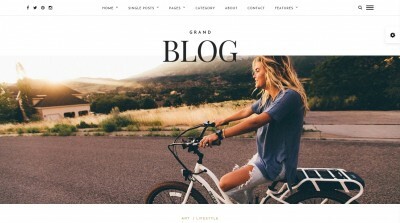 A very simple yet beautiful Blink WordPress theme pays more attention to the quality of particular post and blog area in general then to the wide website structure. It uses simple pages tree, but perfectly supports the high informative status of articles. As a well-known Medium blogging service, the Blink uses narrow text style to show in each article. Also, good old typography appearance with interesting mini-grid of photos inserted into post really impress the reader with the quality of given blog entry. The main page is also made in “masonry” stylistics to contain more post previews in one page. This helps a lot if you have some premium content, which should be presented at once. Blink is an example of a fine theme. Largo is an interesting theme with unusual design to share info in unusual way. If you like something unique and not mainstream – try this template. Great design of post area will not leave you indifferent. Largo theme helps you to show on a single page all posts; from featured with a big bright image to regular, with full and informative description. 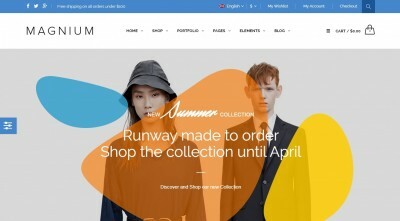 The template uses modern concepts to add some eye candy using effects, animations, and smooth performance of your website. The blogging has also some features to say about. Make some posts with beautiful full screen parallax between paragraphs, visitors will like such a bonus to great articles! Ink is another modern blogging theme, one of the best WordPress Medium Themes, with grid main page appearance and fancy old styled post content showcase to make reading more comfortable and pleasant. 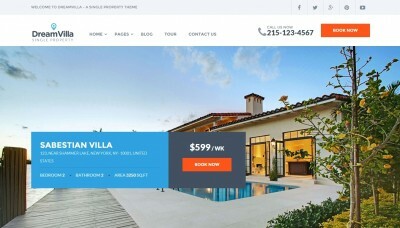 The main page of the theme is constructed of masonry-styled cards with featured content to show as much info as possible in the very beginning of website browsing by a client, which is extremely important to draw his attention ta particular thing or whole service. Headers of blog posts are decorated with full-sized images and has some interesting effect on scrolling activity. Cozy menu with simple navigation bar, full support and responsiveness on every device make the Ink theme a good choice. Modern, progressive, clear, bright – this is an exact description of the Mellow WordPress theme. Qualitative slider for good presentation, similar to Medium.com posts design add even more positive impression to the template stock. The theme has a lot of options. 8 global color schemes, a possibility to turn on the advertisements area, header options, and go-on-top button simplify the website usage. Innovative animations and transitions will impress website visitors, while comfortable to read posts make each visit to your blog a satisfying event for visitors. Choose one of two menu styles, construct your own main page layout, use socialization options, such as “share” and “like” buttons, for best user experience. Indeed, Modern theme impresses! When it comes to a Medium style WordPress theme, nothing comes closer than Social Blogger. This new theme from community sites experts, BuddyBoss, will impress you in every way. You can use it for your standard blog, but thanks to its focus on the social aspect, you can also build a community around your blog by leveraging the power of BuddyPress. Pretty cool! The front end interface for writing a blog post is impressive, and is very much inspired by Medium. This is a product that will continue to evolve, as the company pushes new features. BuddyBoss plans to soon add inline comments to articles, a la Medium. Overall, a great theme, that must be looked at.